practice. From a facility safety management perspective, indoor location technology has been the last remaining challenge facing true 360° degree employee safety monitoring— until now. Compatible with Blackline’s Loner safety monitoring devices, location beacons are compact, self-powered and installed throughout facilities. Each location beacon is installed at a known location where there is associated employee traffic such as doorways, access points, hallways, catwalks, and rooms. Each beacon broadcasts a unique identity number that allows Loner products to report the employee’s location within a facility or building. 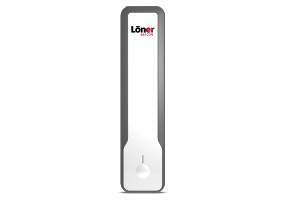 As employees with Loner safety monitoring devices pass by beacons, the Loner device wirelessly updates the employee’s location within Blackline’s Loner Portal web-based safety monitoring application. If an employee encounters an incident that threatens his or her safety, the Loner safety monitoring device communicates the alert type, employee’s name, and location to monitoring personnel who manage a pin-point emergency response to the correct building, floor, and room.